Montebello Partners is an information security and strategy consultancy. An introduction to our company can be found on our home page. We typically assemble a project team from both our own firm and associate service partners who can bring deep experience tailored to a client's needs. J. Ames Cornish leads Montebello Partners which he founded in 1997 to provide business strategy and information security services to high-technology businesses. Clients include Fortune 500 companies, entrepreneurial start-up companies, and venture capital firms. Ames was the founder, Chief Technical Officer, and President of Vividus Corporation, which was funded by Draper Fisher Jurvetson in 1991, and acquired by Sunburst Communications in 1997. As the product visionary, Ames conceived, designed, and developed Vividus' award-winning multimedia authoring (Cinemation), web authoring (Web Workshop), and children's products (Amazing Animation). 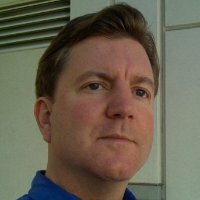 Prior to founding Vividus, Ames' roles included managing the Desktop Presentations marketing group at Apple Computer, and managing the product marketing team for Business Graphics Software at Hewlett-Packard. Previously, Ames worked in corporate finance at Kidder, Peabody, where he assisted in initial public offerings for technology companies, and invented a debt-for-debt swap in which over $100,000,000 was invested. Ames has presented at numerous industry conferences, and appeared on national TV and radio broadcasts. He was elected to the board of directors for the bay area chapter of Infragard, an FBI-sponsored cyber-security organization. He was also a member of the board of directors of the Software Development Forum (SVForum), Silicon Valley's leading developer organization, and was a founder and co-chairman of SVForum's Internet Security and Privacy special interest group. Ames' business skills include business strategy, market segmentation, product positioning, partnering, and business development. Ames' security skills include security assessments, security architecture, secure software development, network security, web and cloud service, policy development, and data forensics. Ames holds bachelor's and master's degrees in theoretical physics from Harvard University, and an MBA from Stanford University. Ames is a Certified Information Systems Security Professional (CISSP), and has been certified by Visa for PCI assessments (QSA, PA-QSA). Ames has been awarded two US patents for his invention of a novel software language and platform for processing semi-structured data. Ames holds a black belt in kempo karate, and enjoys biking in the California hills. Ames' résumé is available here. You can find out why we chose the name Montebello Partners here.